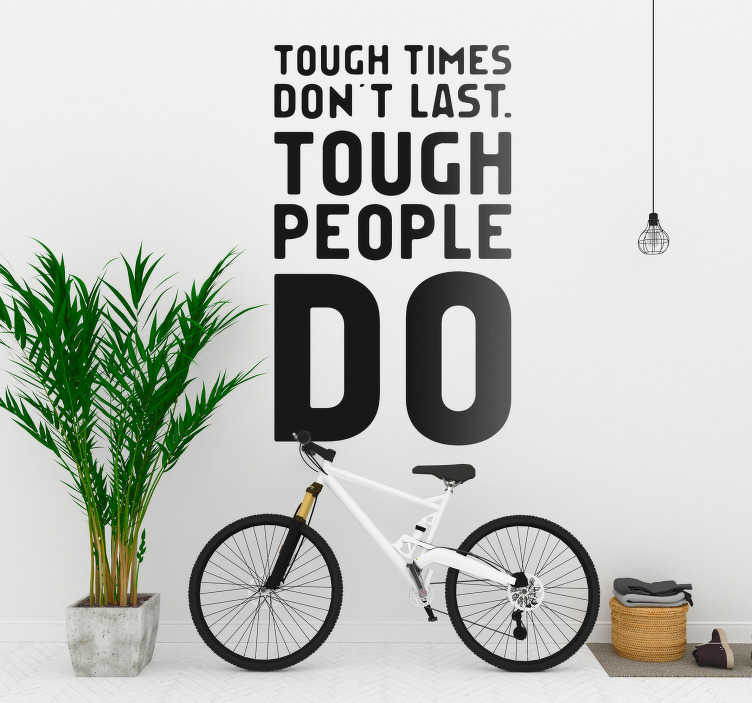 An inspiring and hugely motivational wall sticker, perfect for any wall in your house! Depicts the words ´Tough times don´t last. Tough people do´ - Is there anything more salient and true? A superb monocolour decal shows this phrase. What are you waiting for?